Or, everything you ever wanted to know about hashtags but were afraid to ask your teenager. You see other people and businesses tossing around hashtags like #seo, #smallbiz, or #b2bchat, and in your mind it’s as accessible as juggling chainsaws. There’s probably no easier way to tell a digital native from a digital naïve than their ability to use the hashtag. Trying to use hashtags when you don’t understand them sounds as natural as cursing in another language. Whether it’s during Q&A at social media events, in the comment sections of other posts, or in emails, I’ve fielded a lot of questions about how to use hashtags in social media. I figured I’d try and answer all of them in this comprehensive guide. 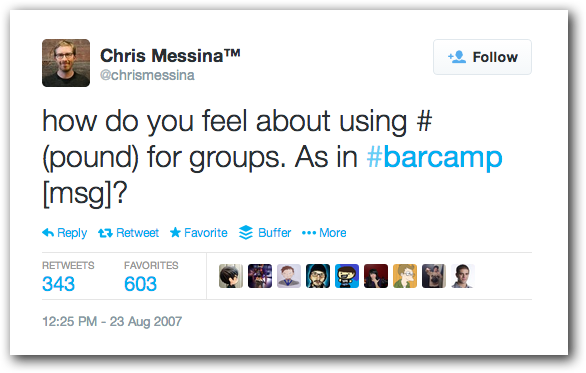 Now, there are already a lot of great articles on how to use hashtags. I’ll reference a number of them throughout this article. However, most of them aren’t geared to small businesses and entrepreneurs. (More on that later.) 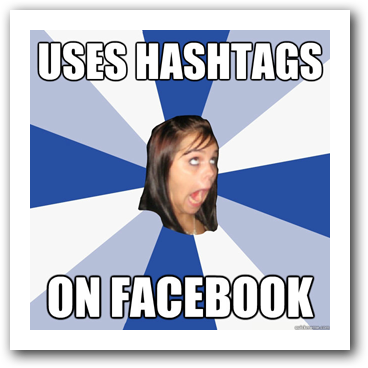 So, I wanted to put together an exhaustive guide to using hashtags in social media as it stands today. When it comes to social media, the hashtag is used to draw attention, to organize, and to promote. Another thing to keep in mind: capitalization only matters for readability. #KnowWhatIMean? You can check out the full infographic on Twitter engagement here. Hashtags are great for research. 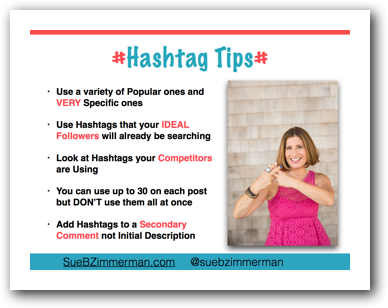 If you are doing research, it’s easy to find great, relevant content by search on specific hashtags. I’ve found that tweets with hashtags are generally more focused on a topic than a tweet that just mentions the phrase. 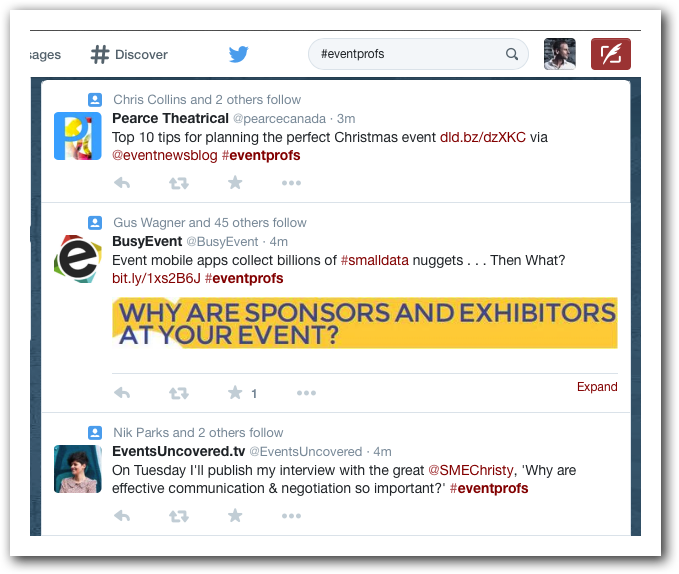 #Eventprofs is a hashtag for event professionals, in case you weren’t sure. How #smallbiz can use hashtags effectively. Many articles about how to use hashtags effectively reference a campaign from Esurance called #esurancesave30. The insurance company ran an ad after the Superbowl promoting the hashtag. As reported in Search Engine Watch, the hashtag was used 1.4 million times within an hour of airing the ad. Esurance also gained 40,000 followers within minutes and 250,000 followers in the next few days. So, let me get this straight…Step 1: get a budget big enough to advertise right after the SuperBowl…. OK, so that’s not going to work for you. So, what can a small business do when it comes to marketing with hashtags? Uncover the hashtags popular in your industry. Kevan Lee, over at the buffersocial blog, suggests using the tool Twitalyzer to find out which hashtags the influencers in your industry are using as a starting point. My experience with this tool is mixed. According to it, @therichbrooks often uses #am (a hashtag I used once a couple of days ago only because autocorrect didn’t like #SMBME,) and #puffpuffpasstuesday, which a Google search shows I’ve never used. Or at least that I never inhaled. Another approach is to use Twitalyzer to find the hashtags your ideal customers are engaging with or using. Make hashtags part of your regular posts. For Twitter, consider using a tool like Hootsuite to schedule a week’s worth of tweets beforehand, using industry-specific hashtags and links. For Instagram, make sure your photos and your follow up comments, include plenty of relevant hashtags. 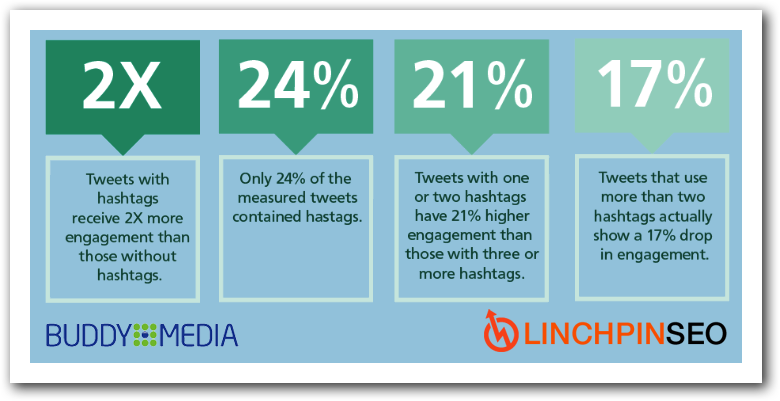 For more on platform-specific hashtag tactics, see the breakdown below. Start with some popular, established hashtags. An easy way to get started is using popular hashtags. For example, #throwbackthursday, or more popularly, #tbt, is a weekly theme where people and brands share things from their past. This is one of the few hashtags to gain any traction on Facebook. Although not as popular any more, #ff, short for Follow Friday, is a good way of giving props to people or companies you feel are worth following. Jump on trending hashtags. You can also take a look at which hashtags are trending on a certain social channel and work those into your own tweets. 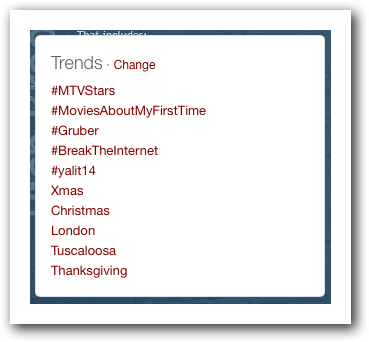 The image to the right was a snapshot in time on the trending topics on Saturday, 11.15.2014. It appeared on the left hand column of Twitter.com. I could get more visibility by working one of the words or hashtags into my tweets. However, while hopping on a trending hashtag may put you in front of more people, most won’t care about your message, and your tweet will be quickly swept away in the torrent of tweets using the same hashtag. More importantly, if you don’t know what a hashtag is about, your tweet may come off as completely insensitive. More on that later. Hashtags have been known to get some brands into trouble. Look before you leap. It’s a common tactic to use trending hashtags to gain visibility in social media. 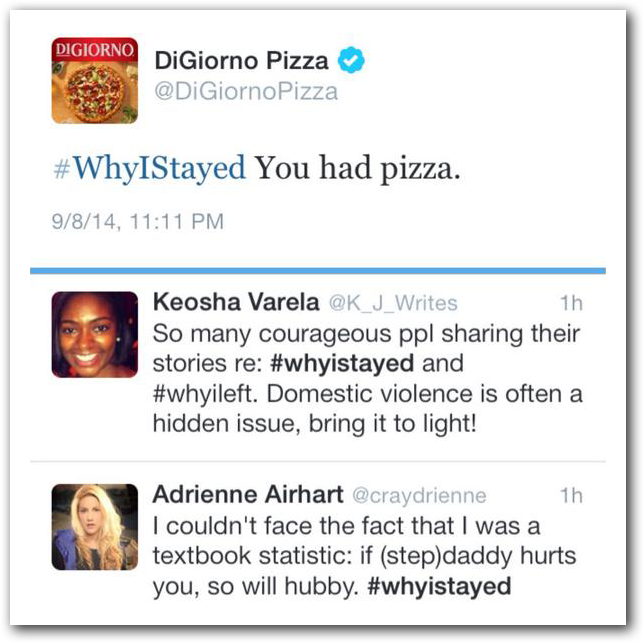 Recently, DiGiorno Pizza jumped on the hashtag #WhyIStayed, not realizing that it was being used to discuss domestic abuse. While they did a good job of apologizing profusely, there’s no denying damage was done to their brand. That’s just one of hundreds of examples of brands not looking before they leap when it comes to trending topics. Going too broad with hashtags. While a broad hashtag may seem like casting a wide net, chances are broad terms will either not be searched on, or your tweet will be lost in the shuffle. How to use hashtags on Twitter. While hashtags are expanding in popularity and use throughout social media, I feel that Twitter is their natural habitat. Most of the advice above was written with Twitter in mind, but let’s dig a little deeper. As we saw above, hashtags can be used to focus Twitter conversations around a given topic. Popular twitter chats include #beerchat, #edchat, and #blogchat. Some chats are more informal, others are led, like Rebekah Radice and #bufferchat. Chats are great ways of connecting with people on subjects you care about, whether it’s cooking or marketing or hang gliding. You can search on hashtags you’re interested in learning about, or on topics where you can establish your expertise. Every year we put on The Agents of Change Digital Marketing Conference here in Portland, Maine. One of the ways we build excitement and engage the audience during the conference is through the use of hashtags. Each year, we update the hashtag: #aoc2012, #aoc2013, #aoc2014 (and so on.) In all of our promotional tweets and other social shares, we include the hashtag. After people purchase tickets, we send them to a page where they can click a button to tweet out they’re attending, and that tweet goes out with the appropriate hashtag. During the conference, we actively promote the use of the hashtag. In the “pre-roll,” the slides we show before the first speaker and during all the breaks, we actively promote the hashtag. We also had two of our employees “live tweeting” the event on our flyte new media and Agents of Change twitter accounts…each tweet including the most recent hashtag. We also followed the hashtag that day, and retweeted what other attendees were saying and sharing about the event. After the event, we were able to capture some of the best moments by searching the conference hashtag. 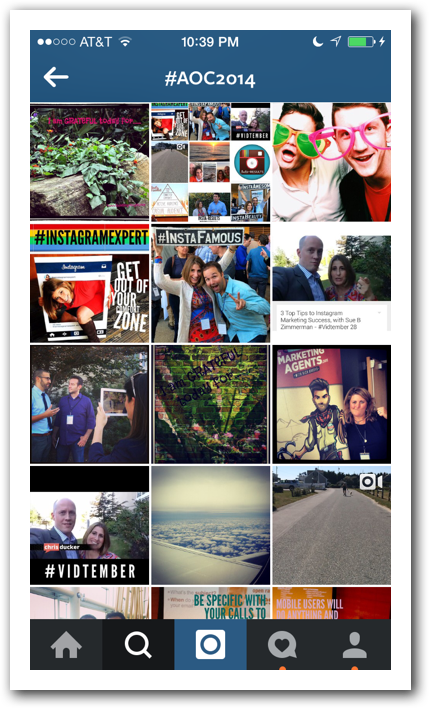 Hashtags are the secret sauce of Instagram marketing. Because there’s no easy method to share someone else’s post, (known as “regramming,” similar to “retweeting” on Twitter,) hashtags become the number one way of reaching a new audience on Instagram. 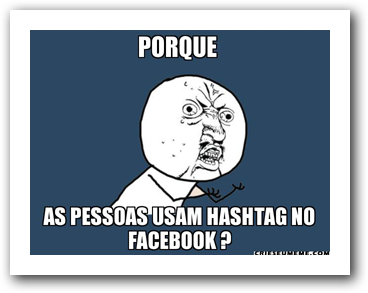 People tend to post a lot of hashtags on Instagram. How many is too many? By refreshing your hashtags, Sue is talking about replacing your older hashtags with newer ones, thus pushing you back to the top of the Instagram search for specific hashtags, which shows results based on time. What are ways to get new followers? Since that’s always the question on everyone’s mind, I asked Sue. She responded, “a great way to gain new followers is to follow the hashtags of events you attend. How to use hashtags on Pinterest. It’s also important to remember that hashtags are only clickable on the web version of Pinterest; the mobile versions are unclickable. How to use hashtags on Google Plus. “Hashtags on Google+ enable your content to surface beyond the reach of people who have you in circles,” suggests Google+ marketing expert, Martin Shervington. “You can add as many hashtags as you like, but if you go too ‘unrelated’ you could look a bit spammy, so I tend to add three. And you don’t always have to come up with the hashtags yourself. “The super cool thing is how Google will naturally add hashtags (up to 3) when you don’t add them yourself.” Don’t like Google’s suggestions? Just click the ‘x’ to remove them. How to use hashtags on Facebook. Don’t believe me? 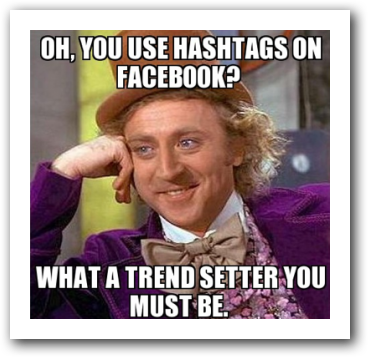 Just look at what the Interwebs have to say about hashtags on Facebook. And this crosses all language barriers. Jimmy Fallon shows you how to use hashtags. No complete guide to hashtags would be complete without Jimmy Fallon’s video on hashtags. 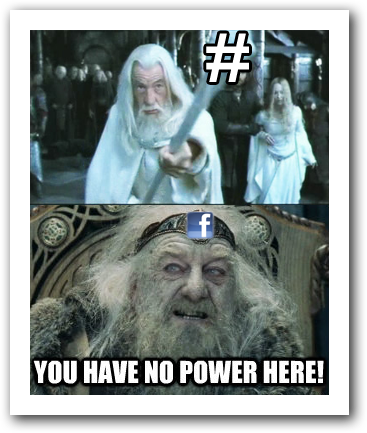 Martin Shervington suggested Hashing Out Google Plus Hashtags: Uncover Their Hidden Powers! But what you really need to do, is #justdoit! Don’t wait to read a dozen more articles or research too deeply. You can continue to do that as you learn by doing. Instead, start adding what you feel are appropriate hashtags to your tweets and other social shares, and take a look at the hashtags the influencers in your industry are already using. If you’ve got any additional tips, advice, or stories about hashtags, please share them in the comments below. Fantastic and detailed article. 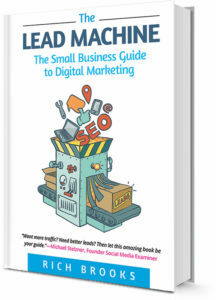 A must read for any small business owner who is starting to use social media and needs a strong understanding of hashtags. I really enjoyed Sue’s advice about deleting hashtags and then going back and adding new ones. Thanks for including my advice. Happy holidays to you and your wonderful team at Flyte! Thanks for being part of it, Vincent! Oh, thank you! Explains so much! I use hashtags very carefully Rich. While observing their use, I’ve seen a lot of nonsense. Your information has given me confidence/knowledge to venture out more and still be effective. Great post. 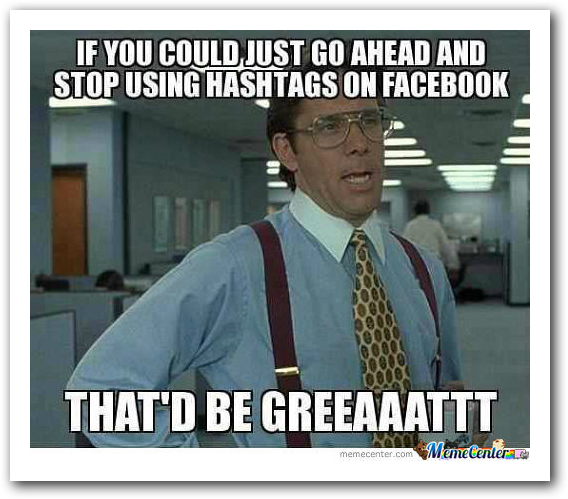 I’ve seen a lot of hashtag fundraisers this holiday season. I wrote a post for Razoo on them. Also, check out this Pinterest board. Yes, yes you could. I could actually think of a lot of funny tweets that might include that hashtag, as a matter of fact. Thanks therichbrooks, will it matter where I place the # or should it be with the first word? It has to go at the beginning, and your hashtag can only be one word. I’ve never used hashtags on Pinterest. Thanks for explaining that. Excellent. Information. 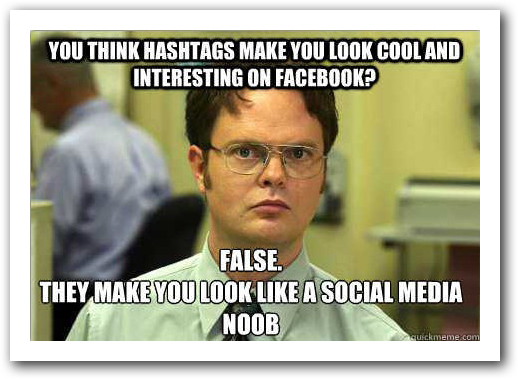 So, Facebook hashtags are considered lame. Can you explain why? Do they not work? Do they slow down the growth of a post? Other than their social stigma, why are they bad for FB? They don’t offer any real benefits. This may change in the future. Wow this was extremely helpful!!! Thank you so much for this very humorous and insightful article. I am going to start “doing” today!!! 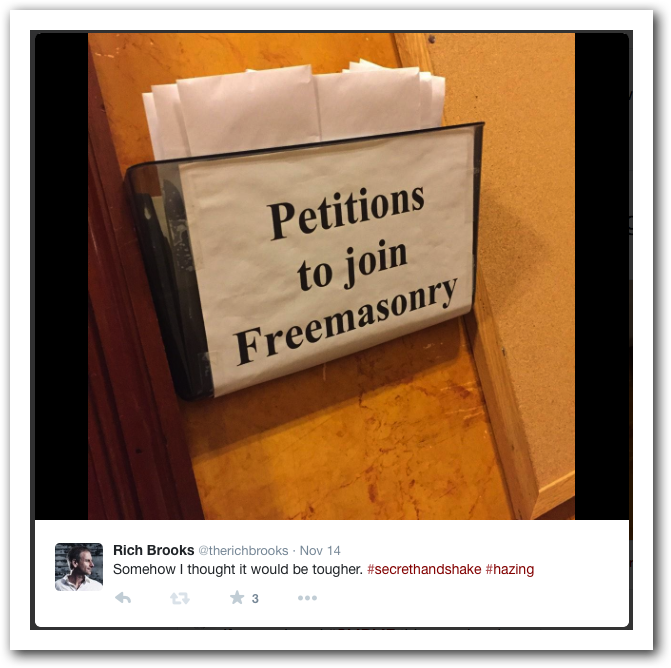 Posted December 19, 2014 by Rich Brooks & filed under Social Media.